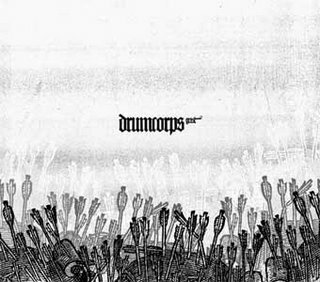 "Grist", the debut full-length by Drumcorps. Far from just a typical grindcore mash-up mix, producer Aaron Spectre plays many of the riffs and tweaks the source material to near impossible levels, all making a passionate emotional attack on the listener. The intensity of his live shows has made him increasingly in demand, destroying parties from Tokyo to London. He's at the top of his game, and "Grist" proves it. Other than that, how are things?